James Dickinson is an Advocate of the Royal Court of Jersey and admitted to practice as an English solicitor and as a solicitor of the Eastern Caribbean Supreme Court. He established James Dickinson & Co in March 2009 and, together with James Gleeson, established Dickinson Gleeson in August 2010. James has over 20 years experience of complex commercial litigation. His practice is primarily claimant focused, with an emphasis on trust and estate disputes and asset recovery. James represents HNWI’s, trustees and banks and regularly represents clients in foreign proceedings. 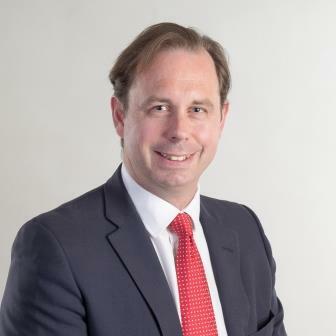 Since moving to Jersey in 1999 he has acted for clients involved in some of the largest and most complex proceedings to come before the Royal Court including Mayo v Cantrade (settled by payment of USD38.5 million), Koonmen v Bender (relating to entitlements to a USD140 million employee benefit trust), the Teighmore litigation (in relation to the ownership of the “Shard of Glass”) and the Alhamrani litigation (a substantial breach of trust claim that was settled on the 102nd day of the trial). More recently James has been involved in a range of cutting edge Jersey cases including establishing Jersey’s test for the admission of fresh evidence post trial but pre-judgment ( JRC 190), one of Jersey’s first statutory Hastings Bass and mistake cases ( JRC 048) and establishing that a common intention constructive trust may (as a matter of Jersey law) be established over a loan account to a Jersey company ( JRC108). James Dickinson has for many years been ranked in leading legal directories including Chambers and Partners, the Legal 500, the IFC Citywealth Leaders List and Who’s Who Legal. James has variously been described as “ferociously bright”, “a first rate litigator”, “collaborative and a superb tactition”, and as a person who “thrives on complex heavy cases”, “works phenomenally hard for his clients and is a real bruiser in Court” and who “offers prompt, high quality and pragmatic legal advice”. James is an overseas member of the Chancery Bar Association.